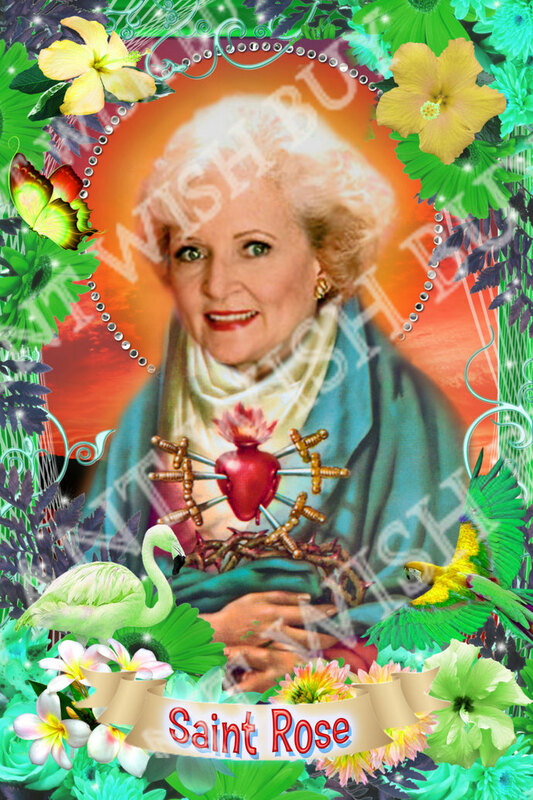 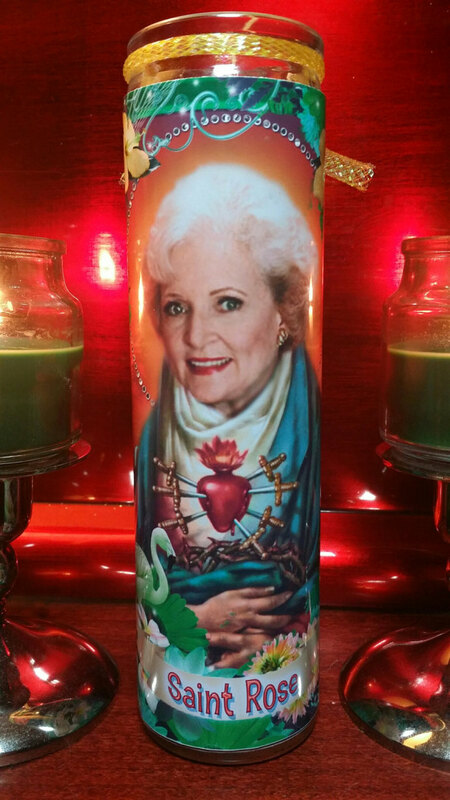 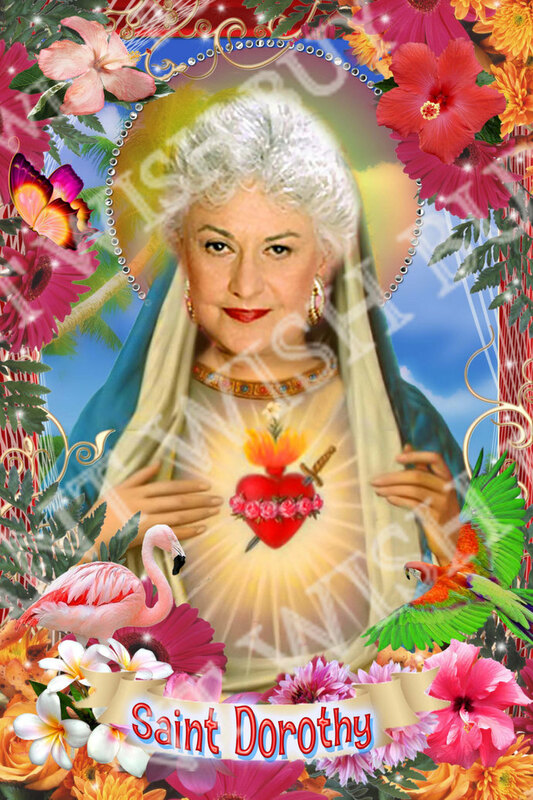 Rose of the Golden Girls - Betty White - Celebrity Prayer Saint Candles with tropical frames which is a large label at 5 x 7 inches - (also have GGs in Church Window Frames in other listings). 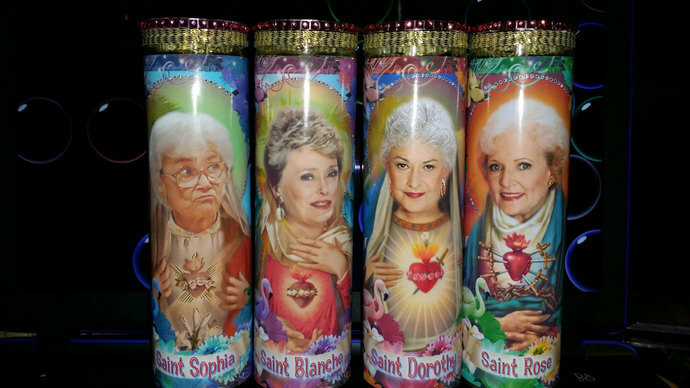 Also have the set of 4: Saint Dorothy, Saint Rose, Saint Blanche and Saint Sophia. 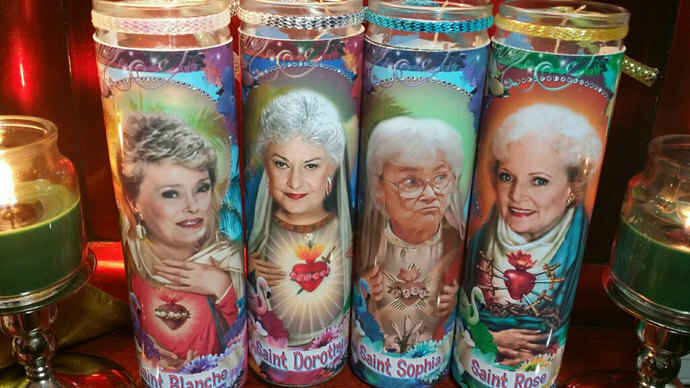 White, unscented.